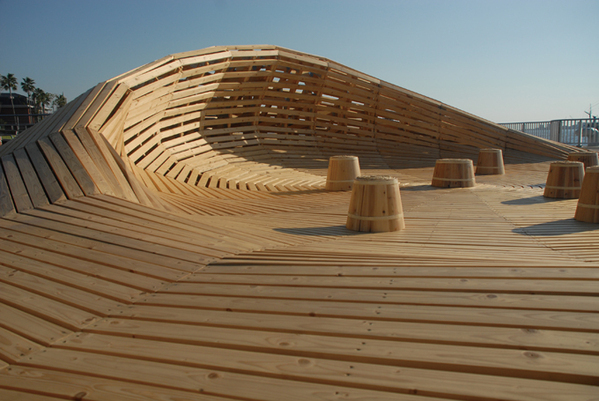 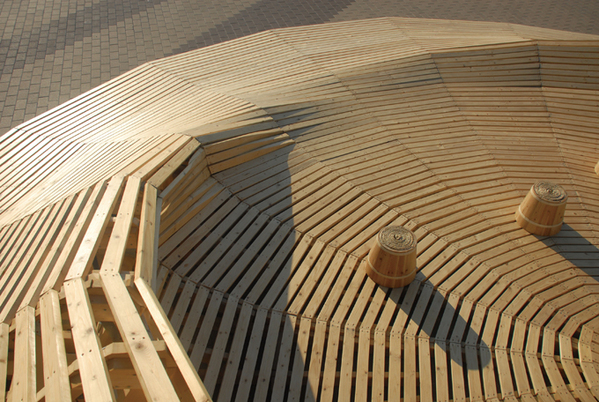 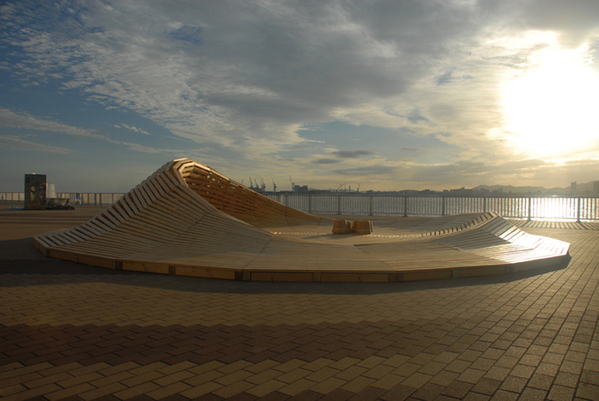 Crater Lake is an installation project exhibited at Kobe Biennale 2011 from October 1 through November 23. 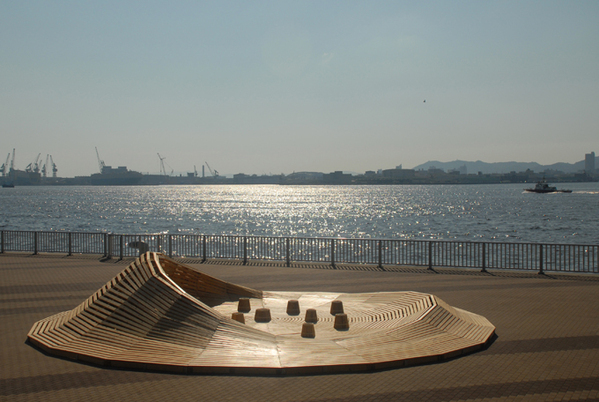 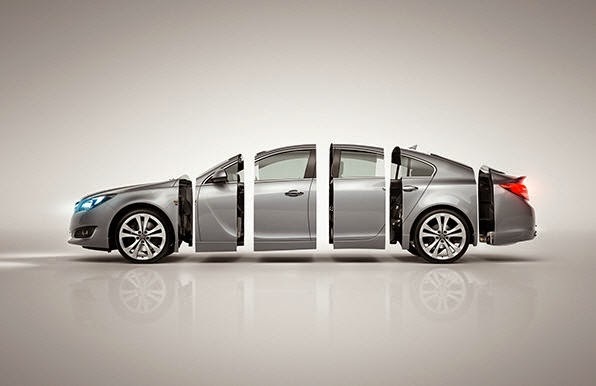 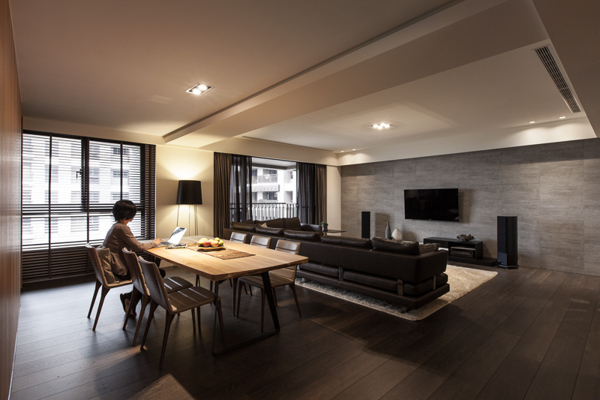 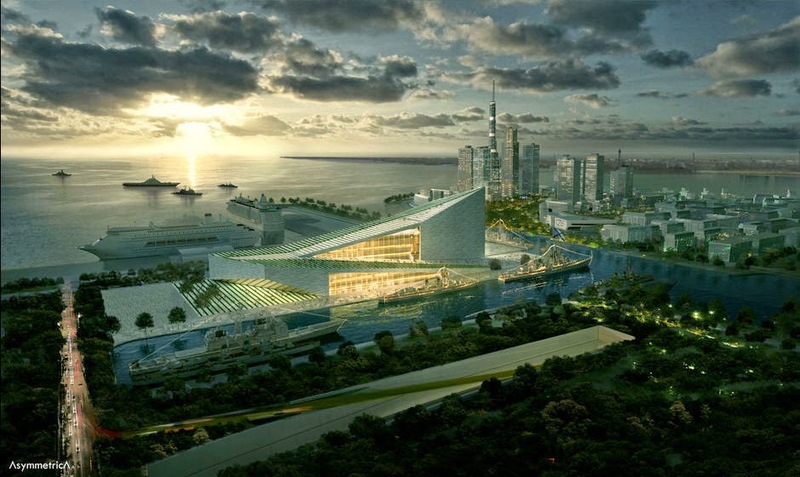 The project was one of the winners for Shitsurai Art International Competition organized by the city of Kobe. 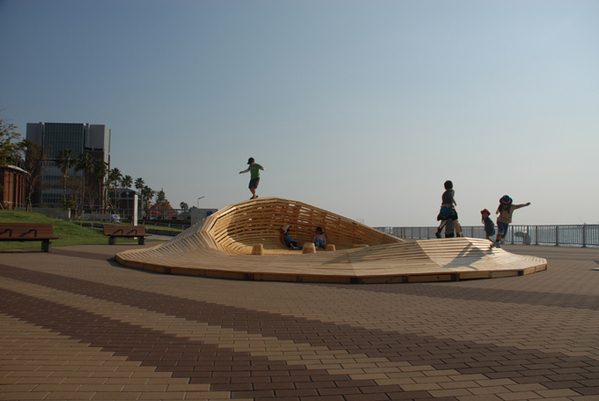 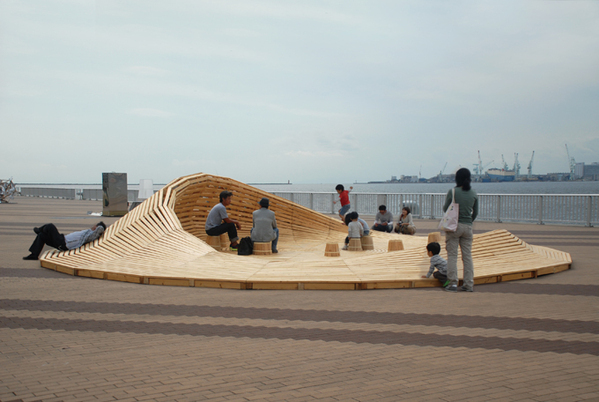 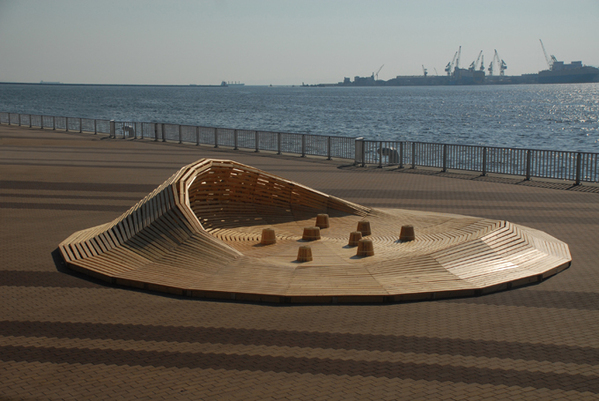 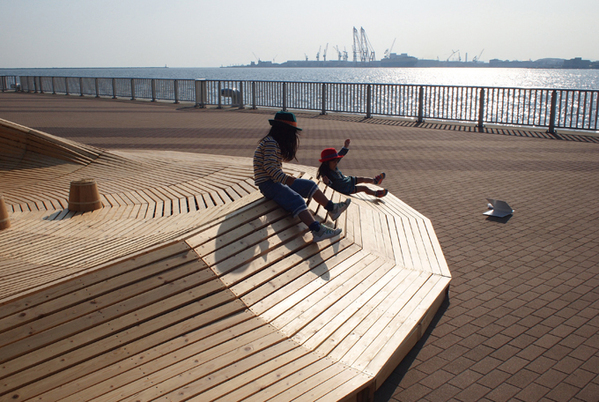 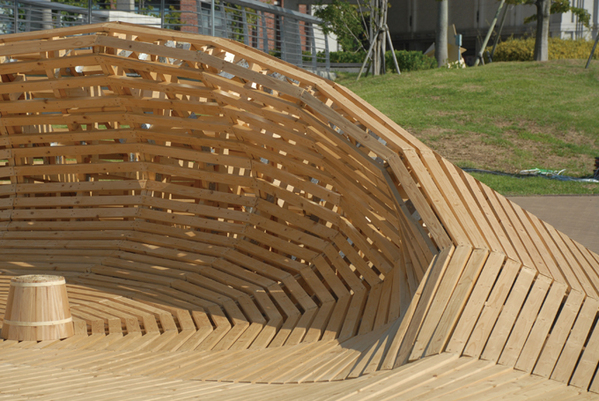 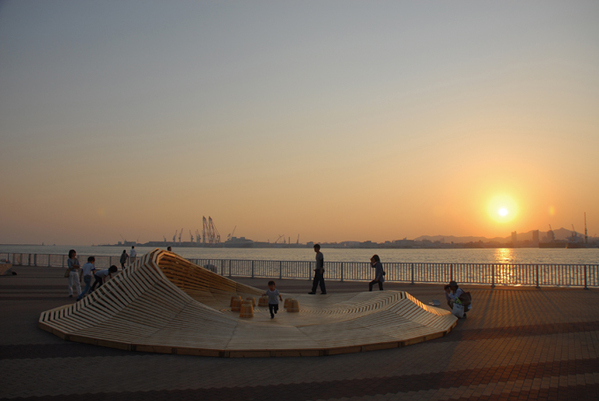 This multi-use environmental installation serves as a meeting place where every area can be used as seating for visitors to contemplate the surroundings, thus invoking a social interaction within and around. 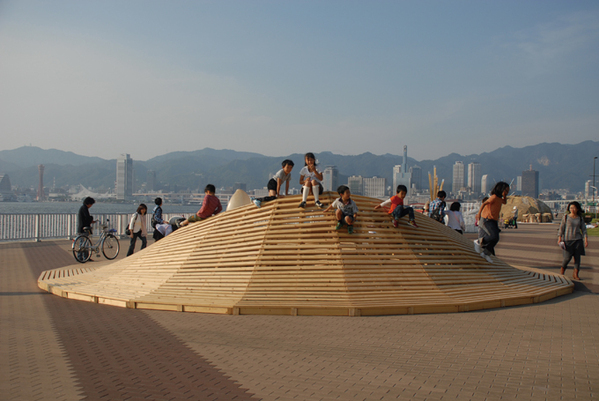 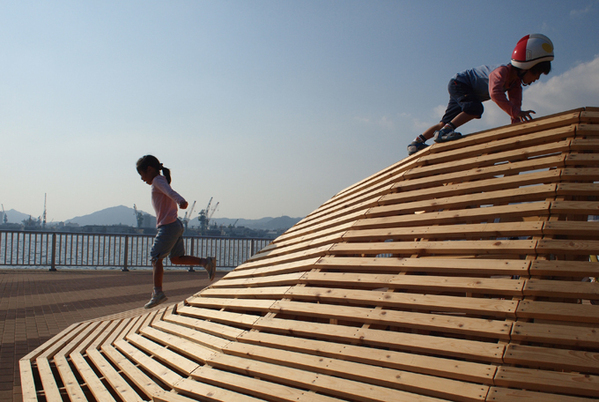 The gentle hill surfaces invites people of multiple generations by providing spatial conditions that allow to interact with the landscape space like a playground device, relax in the shade of the mount, and socialize by seating in preferred order.